Part I was written on October 6th, 2017 after the New England Patriots improved to a mediocre 3-2 record following a Thursday night win in Tampa Bay against the lowly Buccaneers. Part II was written on February 5th, 2018 after the New England Patriots fell to the Philadelphia Eagles, 41-33 in Super Bowl LII. Now, Part III is written on March 26th, 2019 after a sixth Super Bowl victory for the New England Patriots. Heading into the 2019 Postseason, the Patriots posted an average 11-5 regular season record, their worst in a decade. Many claimed the Patriots were done, noting the loss of promising recovering wide receiver Josh Gordon to drug abuse and the team’s costly errors as key factors to their decline. New England’s five losses of the regular season all occurred on the road to non-playoff teams. But that was before the Playoffs. Despite the somewhat abnormally subpar record, the Patriots still obtained the #2 seed in the AFC, earning them a bye week and a home playoff game. 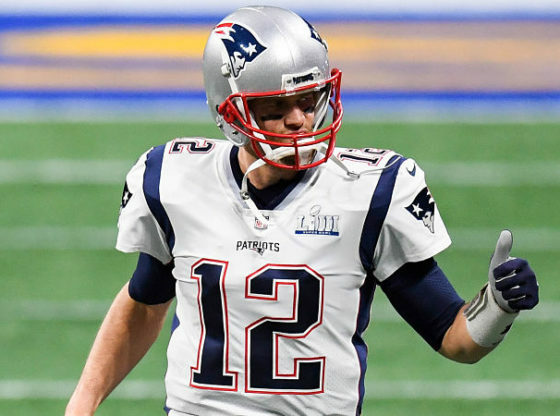 The Patriots were the only undefeated team at home all throughout the 2018-2019 season. In the Divisional Round, the Patriots hosted a 12-4 Los Angeles Chargers team headed by quarterback Philip Rivers with defensive stars Joey Bosa and Melvin Ingram. Brady and the Patriots set the pace early, scoring four unanswered touchdowns prior to halftime which gave themselves a 35-7 lead halfway through the contest. The Patriots put up 41 points and allowed 28. Brady eventually tallied a 77% completion rating, going 34/44 for 343 yards and a TD to Phillip Dorsett. In the 2019 AFC Championship Game, the Patriots visited the upstart Kansas City Chiefs. The Patriots narrowly edged the Chiefs 43-40 in Week 6 of the regular season, leading many to believe that this would be the game of the year. It turned out to be. Despite scoring 14 unanswered points by halftime (including an amazing 29-yard TD pass from Brady to Dorsett), the Chiefs rallied. Down 17-7 after three quarters of play, Kansas City scored 24 points in the fourth quarter, yet the Patriots kept pace. Despite Sony Michel rushing for a 9-yard TD on fourth and inches with 3:32 remaining, the Chiefs scored a TD of their own prior to the two-minute warning. Brady led an epic drive that culminated with a Rex Burkhead 4-yard TD run with 39 seconds remaining. After the Chiefs tied the game with a field goal, the Patriots won the OT coin toss. Brady completed a 3rd and 9 and two 3rd and 10 passes to keep the Patriots pushing towards the pylons. The drive ended with Burkhead pounding the ball into the end zone with a two-yard TD, earning the Patriots a 37-31 OT win. Without Brady’s precision passing, the Patriots may not have won. Despite 41 years old making him the oldest quarterback to start in a Super Bowl, Brady went there and won it. Again. Yes, Brady only threw with a 60% completion percentage in Super Bowl LIII, going 21/35 for just over 260 yards. Yes, his first throw of the game was batted up in the air and intercepted. But also, Brady came to play. Brady’s 23-yard pass to tight end Rob Gronkowski in his ultimate final game in the fourth quarter set up the Super Bowl’s sole red-zone play. And it couldn’t have been a more beautiful pass. Sandwiched between three Rams defenders where only Gronk could grab it, Brady’s greatest pass of Super Bowl LIII doesn’t show up on the stat sheet but instead on the scoreboard. Immediately after the Gronk catch, Sony Michel battered the ball into the end zone, scoring the game’s only touchdown. Brady earned his sixth Super Bowl ring. offense when needed. Brady, along with the New England Patriots like their entire regular season, played well when it mattered the most. As a result, they’ve earned their sixth Super Bowl win and have now solidified themselves as arguably the all-time greatest North American sports dynasty.